The Across the Table Podcast is Back! 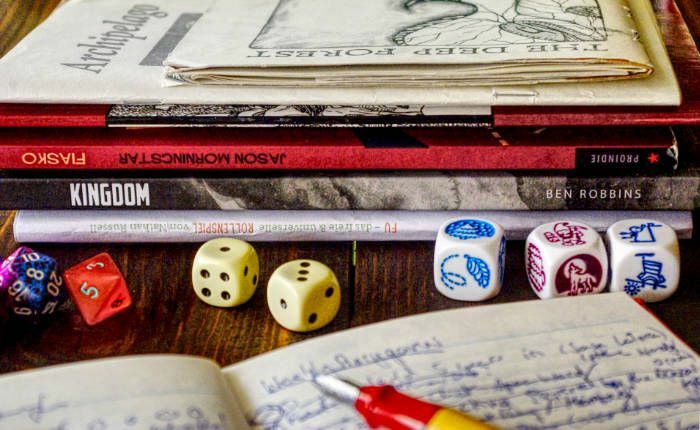 Eric Nieudan’s ideas for an alternative Lady Blackbird resolution mechanism, a “trad” GM learning to prep with Dungeon World Fronts, Sophie Lagace’s Scrivener tutorial, the Across the Table podcast, and Sophia Brandt’s Grab Bag finds of the week. New games: James Iles’ Legacy: Life Among the Ruins 2e on Kickstarer, Sky Wars: Edge of the Kingdom, and Erika Chappell’s Blackout. Finally, the obligatory Lasers & Feelings hack of the week is by Erika, too: Pisskids & Ratbags. Eric Nieudan is not too fond of the “tag-hunting” happening at his table when he plays Lady Blackbird, which can tend toward a “fiction last” effect (instead of fiction first) and most importantly is pretty slow. So he came up with an alternative and also kicked off an interesting discussion. “The Deep Six Delver” has an insightful article about how he went from location-based prep to Front-based prep. I know many people have questions about DW Fronts, and here’s a nice example of someone wrapping their head around them. +Sophie Lagace is using #RPGaDay2017 to do a short tutorial of Scrivener, the writing tool. I use Scrivener, too, along with its sibling freeform (mind)mapping tool Scapple, and it’s rad, so take a look! She even uses it to draft her blog posts (I use it mostly for longer stuff), and I’ve heard several RPG designers use it, too - I know Avery Alder used it for writing Monsterhearts 2! 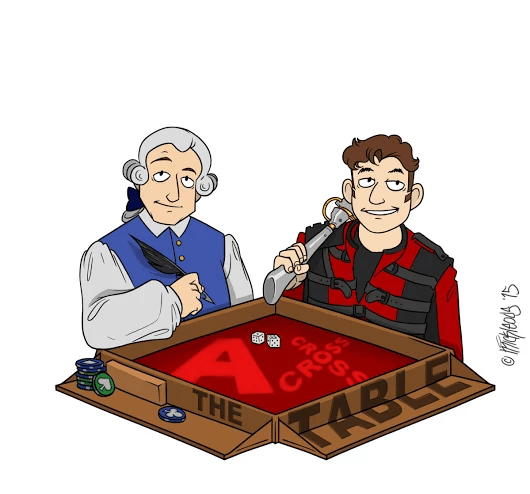 One of my favorite RPG podcasts is back with Season 2.5: Across the Table! - there seems to be some trouble with seeing the new set of episodes on podcatching smartphone apps, but you can always download manually. +Sophia Brandt has a few cool things in her Die Heart Friday Grab Bag: Daytrippers, some thoughts on Trollbabe, and Dungeon World Lite. +James Iles kickstarted the first edition of Legacy back in 2014 and is now back with a second edition. 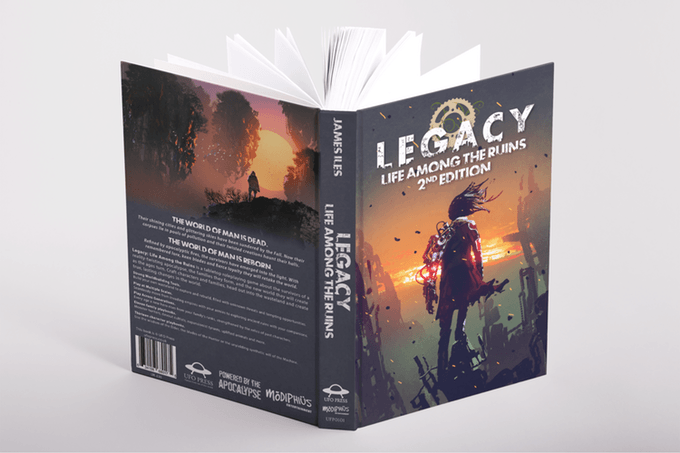 Legacy: Life Among the Ruins is a post-apocalyptic game powered by the Apocalpyse, that, compared to Apocalpyse World itself, works on a grander scale, focusing on families of survivors over several generations. What’s new for the second edition? Among other things, tighter basic moves, simplified playbooks for quicker characters, and specific roles for each character within the family (Leader, Rebel, Outsider etc.). The Kickstarter page also has a link to the free quickstart (“Titanomachy”) if you want to try the game first. 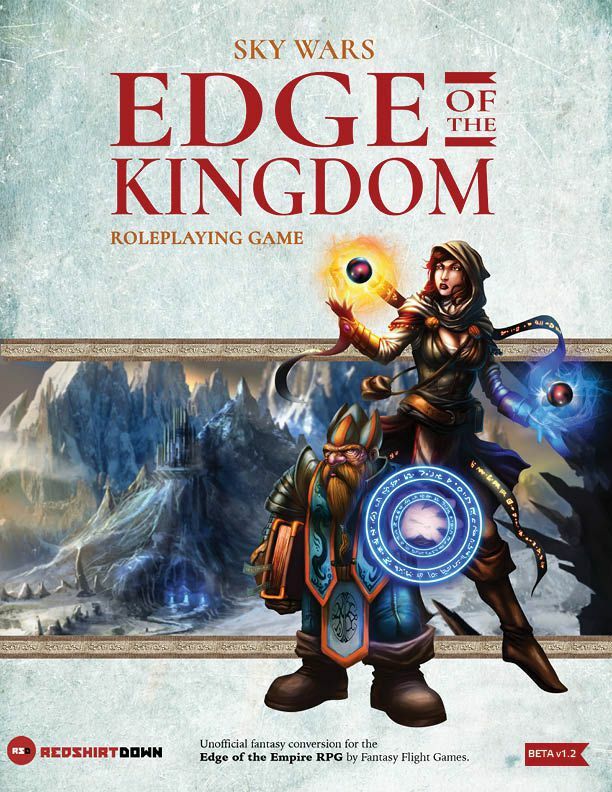 A new beta version of Sky Wars: Edge of the Kingdom has just been released, which is a fan conversion of Fantasy Flight’s Star Wars games (Edge of the Empire etc) for playing fantasy games. 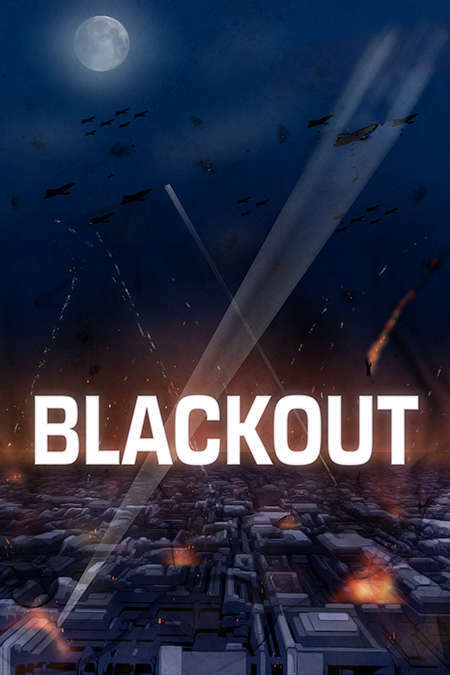 +Erika Chappell’s WWII PbtA game BLACKOUT is designed for playing one-shots about female Civil Defence volunteers during the London Blitz in 1940. More stuff by Erika Chappell! Beside Blackout (above), she also made a Lasers & Feelings hack designed to emulate reality TV show The Bachelorette: Pisskids & Ratbags (free on DTRPG).